On November 4, 2008, U.S. voters have made inspirational history with the election of Barack Obama, the very first African American President of the United States of America. African Americans have every reason to cry tears of joy in rejoicing - and polygamous Americans rejoice too. African Americans have successfully travelled a road from oppression to president. History records the evidence of such suffering real oppression and tyranny from American government, media, and citizenry. African Americans had once been horrifically enslaved, beaten, terrorized, murdered, segregated, maligned in the media, and denied true freedom in America - even such things allowed by law. But now, an African American man has been elected to the highest office of the land. Martin Luther King famously dreamed of a day when a man would be judged, not based on the color of his skin, but on the content of his character. That dream has been fulfilled at the highest level. Celebrating this historic victory for African Americans, polygamous Americans rejoice too - and further continue that dream. National Polygamy Advocate, Mark Henkel, has long shared Martin Luther King’s dream. Content of character is really what matters indeed. Henkel has said, “I have a dream that one day a man will be judged, not based on the number of consenting-adult wives who willingly marry him, but, indeed, based only on the content of his character.” For polygamous Americans, the dream continues. No doubt, the African American experience throughout history has been that of suffering profoundly horrific atrocities - even, in some cases, more than that which has been suffered by polygamists. But real oppression and tyranny are still cruel and atrocious. Without question, the polygamous American experience in history does indeed include very real atrocities of oppression and tyranny, too. Homes have been invaded. Children have been kidnapped by government. Husbands have been jailed simply for their adult relationships. Wives have been legally compelled to testify against their husband. 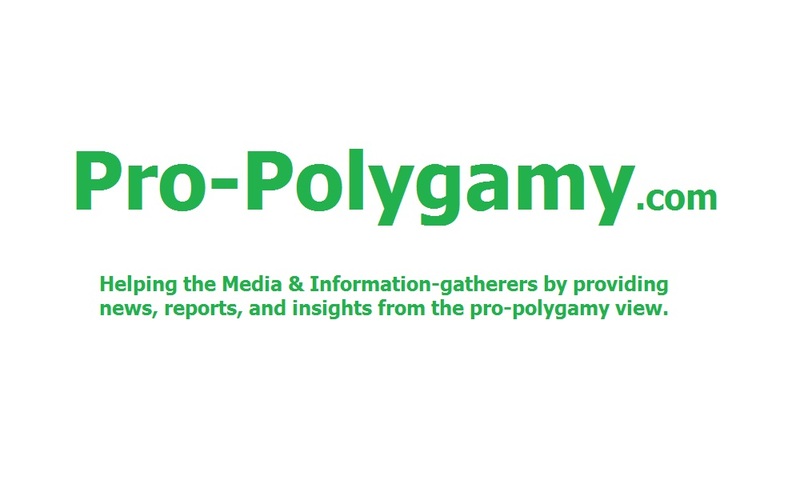 Most media have routinely reported only inaccurate links of consenting-adult polygamists either to real criminals or to one less-popular religion called Mormonism, in order to intentionally incite bigoted anti-polygamous rage by the citizenry. Polygamists have been forced into hiding. Free speech - all by itself - has become the commission of a crime. Even recently in this current, modern millennium, consenting-adult wives have been court-fiat-banned from being in each other’s presence at certain places. Sadly, that’s our country, America, even still today. For polygamists, even as Barack Obama has now been elected President, oppression and tyranny do still continue, even today. Just as the first civil rights movement sought to help America to understand that normal African Americans are genuinely human, moral, and deserving of America’s promised liberty for all, so does the national polygamy rights movement for consenting-adults seek to help America to understand the same about normal consenting-adult polygamous Americans. Hence, as Henkel’s renowned sound-bite declares, “’Polygamy rights’ is the next civil rights battle” indeed. 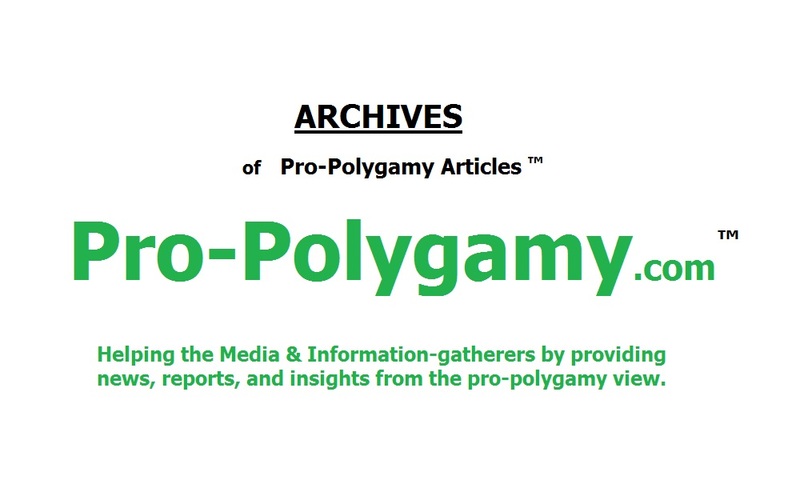 Irrational anti-polygamy is anti-free-assembly, anti-woman, anti-Bible, and anti-choice. It’s also absurd. Uncommitted (even promiscuous) people are free today to choose concurrent multiple sexual relationships. Yet, family-dedicated (and non-promiscuous), consenting-adult polygamists are still oppressed as “criminals” under the tyranny of our own American government, media, and citizenry. Uncommitted people have uninfringeable civil rights while marriage-committed polygamous Americans are criminalized! Yet that insanity of real oppression and tyranny against polygamous Americans continues today. As the former oppression and tyranny against otherwise law-abiding African American human beings were insane, the oppression and tyranny that remain against otherwise law-abiding consenting-adult polygamous American human beings are additionally insane, indeed. That African Americans endured a deeper severity of oppression and tyranny makes it even more insane that polygamous Americans continue to suffer. As the African American road out of oppression and tyranny was deeper and harder to travel, then how much easier it should be for polygamous Americans to one day travel out of oppression and tyranny too. Accordingly, pro-polygamists completely rejoice with African Americans in the victory of this historic election of Barack Obama. Obviously, just as conservative African Americans are adamantly opposed to the liberal policies of an elected President Barack Obama, conservative polygamous Americans are equally opposed to such liberalism too. The pending battles of politics are entirely separate from the celebration of this historic moment in American history. Indeed, in the same way that conservative African Americans still rejoice in the accomplishment of Barack Obama’s election, conservative polygamous Americans rejoice likewise. While this pinnacle of achievement proves that African Americans’ freedom from oppression and tyranny has been ultimately obtained, pro-polygamists also celebrate it with hope for the same future freedom of polygamous Americans. The election of Barack Obama, the first African American President, inspires ecstatic hope. One day in the future, pro-polygamists might also become so free from oppression and tyranny that a normal, family-dedicated, consenting-adult polygamist could actually be elected President of the United States too. Now that African Americans have successfully traveled that amazing road from oppression to president, then consenting-adult polygamous Americans can do it too. The dream continues. God bless America indeed! 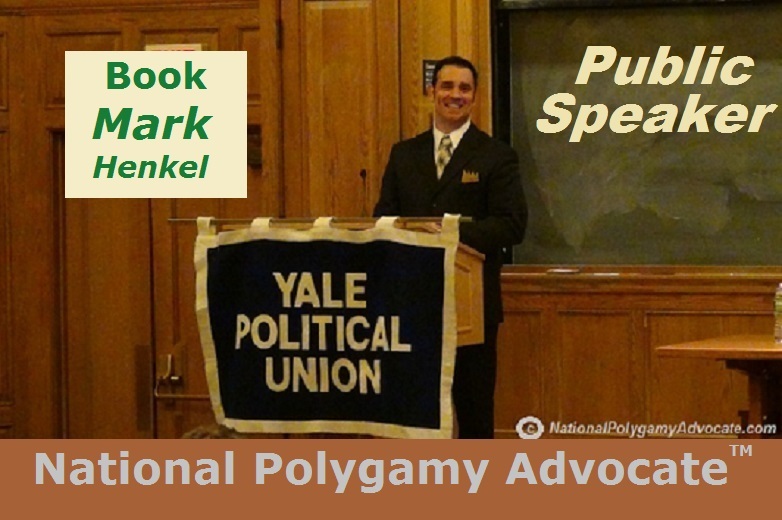 Mark Henkel is the National Polygamy Advocate and the Founder of the TruthBearer.org organization, the non-Mormon, cross-denominational, evangelical Christian Polygamy organization. He has been reported by The Associated Press, Newsweek, The Washington Times, ABC’s 20/20, NBC's TODAY Show, CourtTV, CBN, and many more, as noted at http://www.TruthBearer.org/media/ .